Click image to enlarge or see more views. Contact us and save even more if you meet these Big Deal qualifications. Purchase at least $1,000 of CyberPower products. Purchase over $5,000 and receive even larger savings! Call in today and save! Please turn on active scripting for pricing and to order. The CRA60001 M6 cage nut and screw hardware kit allows users to install rack mount equipment in standard EIA-310 square hole rack angles. 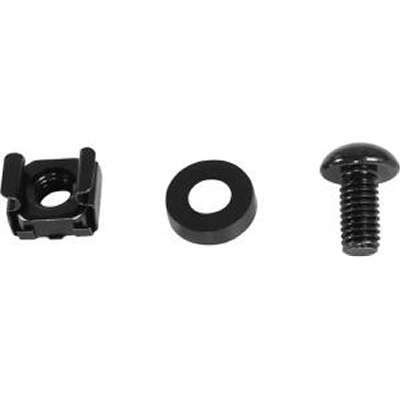 Each kit includes (50) each M6 cage nuts, screws, and cup washers. WARNING: This product contains a chemical known to the State of California to cause cancer or birth defects or other reproductive harm. For more information go to www.P65Warnings.ca.gov. Shop with confidence! Provantage is an authorized CyberPower dealer. Learn more by visiting the manufacturer's website.